The kid was running up and down the street bouncing the ball on the pavement unaware of any worries. Innocence in its blissful state and a total presence of mind in the moment. We all have moments like these from our childhood. Somehow, at some point, something snaps and trauma sets in. The wounded part of ourselves are usually the parts we don’t want to notice or acknowledge, and, most of the times, even ignore them or loathe them. It took me a while to understand that unless we dig deeper within, do some searching for all these split-up parts of ourselves, and accept and embrace them unconditionally, we will not heal. Suffering and wounding is part of life. As we come into this world we already experience trauma at the moment of birth. We are literally expelled out of the comfort of our mother’s wombs and into a harsh environment where we are completely vulnerable and dependent on someone else for our survival. Slowly, we start to learn to fend for ourselves. However, the process into adulthood is not without some bumps in the road that we all need to ride over as best as we can. We certainly need to be more patient and compassionate towards ourselves and embrace our weakness and broken pieces as part of who we are. It takes time and courage for anyone to realize that all the dark areas of one’s personalities stem out of negative experiences that took place, mainly, during our childhoods. Once we identify the source of the pain, we should adopt an attitude of respect for the experiences we had, and honor and protect those wounded parts as we would do for a scared and defenseless child. That is how we heal. We look at that child we once were, and we lift them up in our arms and we assure them that they need not be afraid anymore. We are now taking the fundamental steps of becoming our own parents. Our personalities have been formed around the traumatic experiences from the past. These negatively charged emotions stay with us and get imprinted in the complex structure of our limbic system, in our brains. This complex system is responsible for a series of functions related to our behavior, emotions, motivations and memories. Our scared and defenseless child is imprisoned, so to speak, in this area. We ought to rescue our primordial formation as a child from the dictates of the automatism stored in that part of our brains. We make amends with all the abuse we feel we suffered from people or situations and we detach any feelings of guilt, shame or self-victimization from the experiences that marred our sense of Self. In reality, our Self is intact, but the negative experiences create the illusion that we are inadequate and inferior. We feel fragmented and we struggle to find our way amidst the our emotional chaos. 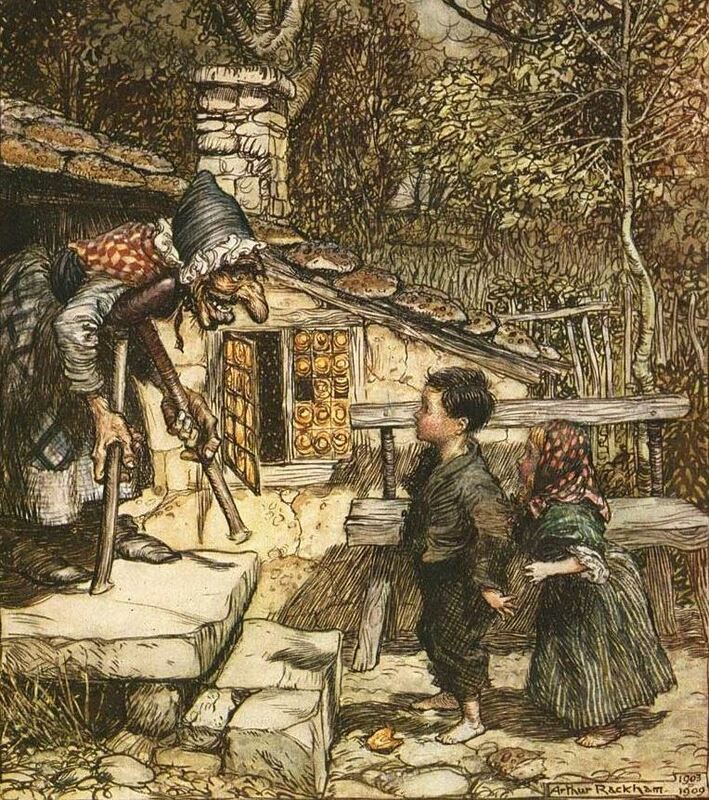 We are lost in a hostile environment much like when Hansel and Gretel found out that the birds had eaten the trail of bread crumbs they had left along the way so that they would be able to find their way back home. In our stories, we are by ourselves, but we are definitely able to find our way back home to our hearts, where we belong. Like a lot of people, I have many fragmented parts of my Self, and I made the commitment to put them together and make myself whole again. I trust myself that I am capable of doing this work. For me, it is the only way I can live. It is worth the journey, and I feel that is the reason for which I am here. The components of my story make up the necessary landscape that will bring me to the stage where I can make a difference in my life. It is a choice I have at my disposal. I am finally ready to take my inner child in my arms and take care of him. I am finally able to address that child and let him know that he is who I am and there is nothing to fear anymore because now I understand. We are not separate anymore. We are one and the same. I am proud of my inner child and how he handled things. Now it is time I led the way with the knowledge and wisdom he gave me. We are whole and unadulterated. We now hold hands and walk together healing each other. The bread crumbs are not needed. We are creating a new path, our own path. The journey can sometimes be arduous, but it is the peace of mind that I can only do my best at every moment that guides me through. My intentions establish the foundation for my victories. And I intend to continue. I intend to survive. I intend to live.